Bitcoin is a convertible virtual currency that is not issued or regulated by a central government or authority. Instead, transactions of Bitcoin are collectively verified by a peer-to- peer network, called the blockchain. This is not necessarily an issue of importance to lawyers, as cryptocurrencies are not likely to have an immediate impact on most law practices. The vast majority of legislators, like attorneys, do not have an understanding of the fundamental principles at work behind cryptocurrencies. This has led to a void of regulations that are focused on issues that arise out of the use of cryptocurrencies. It is likely that less than 1% of all attorneys understand how Bitcoin, and the blockchain technology underpinning the cryptocurrency, really work. That is not due to the collective ineptitude of the bar, but the immense complexity and cutting-edge nature of the subject matter. Regulators in developing countries around the world have repeatedly expressed concern over the trade of cryptocurrencies like bitcoin. As a rising global power, India has both the responsibility and the influence to move regulations in a manner that suits the developing world. If the rise of bitcoin or other cryptocurrencies is anything to go by, it is clear that bans or other stifling measures will be difficult to enforce. Regulators are already finding it tough to adjust to the new world order and let go of the absolute control they are so used to exercising. Since 2013, the Reserve Bank of India (RBI) has periodically reiterated its concerns over cryptocurrencies but has done little else. Unlike its counterparts elsewhere who have banned or otherwise severely restricted the use of cryptocurrencies, the RBI’s studied silence is arguably progressive in nature, letting the technology play out in the market while the stakes are relatively low. Without clear regulation, the blockchain industry is like a ticking time bomb. The symposium on legal regulation of Bitcoin, blockchain and cryptocurrencies provides a platform where the budding lawyers will get a chance to know about the cryptocurrencies from the experts and exchange their views on its regulation. It will prepare the participants to face the challenges put forward by the cryptocurrencies. Jorg Molt is a pioneer in bitcoin and a specialist in blockchain and cryptocurrencies. He is presently CEO of Satoshi school. Across sectors, he has advised renowned companies and institutions worldwide on the implementation of digitization processes. He has built up capital and fixed assets in Bitcoin. Through the general development of Smart Contracts, based on the decentralized Blockchain, he founded an investment company to mediate between users and manufacturers. Together with other experts, this resulted in the &quot;Satoshi Competence School&quot;. Mr. Neeraj Aarora a practicing Advocate, Arbitrator &amp; Computer Forensic Expert. He has professional qualifications as well as exposures which reflect the blended mixture of Finance, Law &amp; Technology. His divergent portfolio and exposure gives him ability to integrate Bit & Bite, Debit Credit with law at any platform. 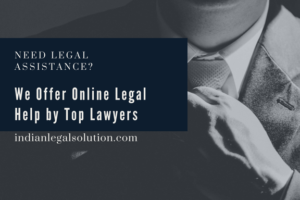 He has dealt with these domains as an investigating officer, as a defense lawyer and also as an adjudicator and thus, capacity to evaluate from all perspectives which gives leverage in handling these domains for the clients. In Cyber Domain, He is “Certified Forensic Computer Examiner” from IACIS and also done training in the Mobile Forensic, Computer Forensic, Ethical Hacking, Networking, Information System Auditing, Network Forensic. He is an expert in the field of cyber law. He is presently the advisor to the Ministry of Communications and Information Technology, Government of India on the implementation of the Information Technology Act, 2000. He is also an advisor to the National Internet Exchange of India (NiXI) and a member of the panel of independent and neutral arbitrators with NiXI. Certified Ethical Hacker with B.E and M.Tech in Computer Science from JNTU Hyderabad. He also holds three post graduation qualifications in Information Security, ERP and Operations &amp; Systems and presently pursuing his research In the world of cryptocurrencies. He is a senior member and regular contributor to articles in leading defence and engineering journals. He has been a regular participant in National and International Seminars as a guest speaker and He is working with the Min of Defence wherein he has variegated experience of service in IT security implementations and conduct of Cyber Audits. An eminent professor of cyber law and former professor Dean of J.N.V. University, Jodhpur. He has more than thirty nine years of teaching experience. He has a vast knowledge in IPR, bitcoin, blockchain and cryptocurrencies. Presently he is a mentor of the same.